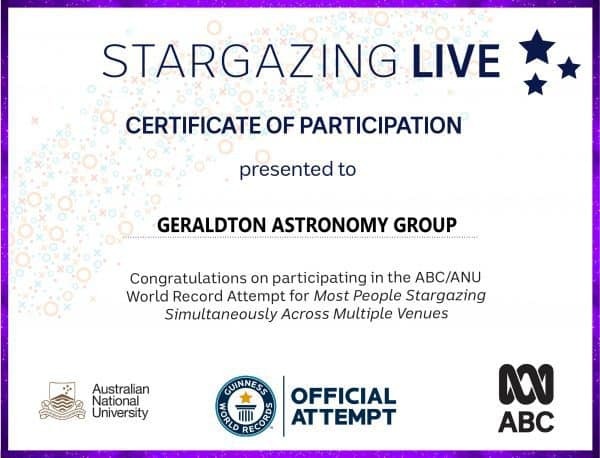 The official #StargazingABC World Record Stargazing total is in! 46,345 people set the new Guinness World Records for the most people stargazing across multiple sites in a single country! There was a whopping 62,000+ people who took part in breaking this world record in over 250 locations across Australia (including Geraldton) – What a fantastic turnout! These results absolutely blow the 2015 attempt out of the water which was only 7,960 people. 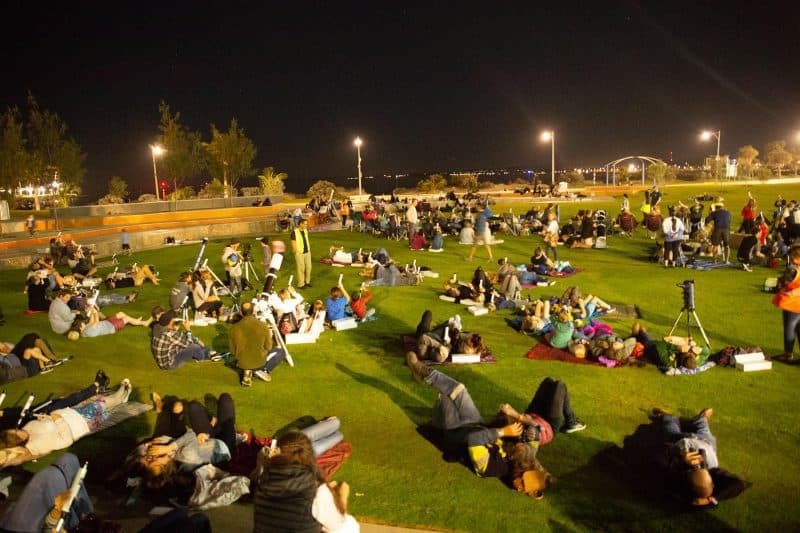 Geraldton had over 400 people turn up to the event held outside The Multipurpose Centre on Wednesday the 23rd of May – with 357 locals successfully completing the record attempt. “The real value is that many thousands of Australians have been introduced to the wonders of the night sky, and many of those will be children. They will develop a lifelong interest in astronomy and science, and the impact of that will be felt in decades to come. Perhaps the first Australian to walk on Mars will have been inspired by this spectacular night,” he said. Thank you to all who helped out and volunteered to make this awesome event a huge success. We had a variety of volunteers from organisations including Scinapse, Geraldton Astronomy Group, Apex Club of Geraldton, CSIRO, the City of Greater Geraldton, and a variety of local schools. We couldn’t have done it without you all! This Geraldton event was made possible by the Geraldton Astronomy Group, Scinapse, CSIRO, and the City of Greater Geraldton. Thank you to our Sponsors & Partners for Goodness 2018!